There are three words that came to mind when we saw this Tyson’s Ritz Carlton wedding: crisp, clean, and classic. From the stunning bride in her white fitted gown to the pale pink, cream, and light apricot color scheme, we feel like we’re floating on air with this wedding. And is there anything better than the look on the groom’s face when he first saw his bride? 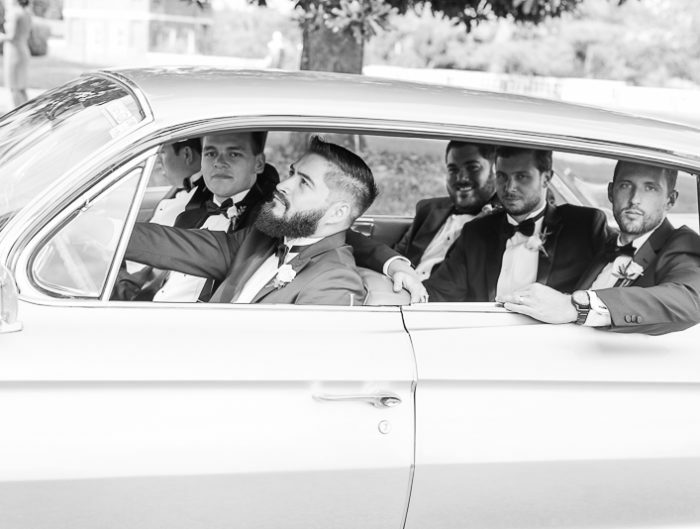 We are swooning over this moment, captured by their photographer, UWL favorite, Eli Turner! Meredith and Drew chose to have both tall and low floral centerpieces at their reception; we always think this is a fantastic idea when planning your floral design and with blooms from Holly Chapple Flowers, you can do no wrong. For the tall centerpieces, the gold stands warmed the light color palette and the varying shapes and sizes of the clustered low centerpieces added texture to go along with the mirrored plates that they rested on. Also, don’t miss out on that stunning five tier cake. 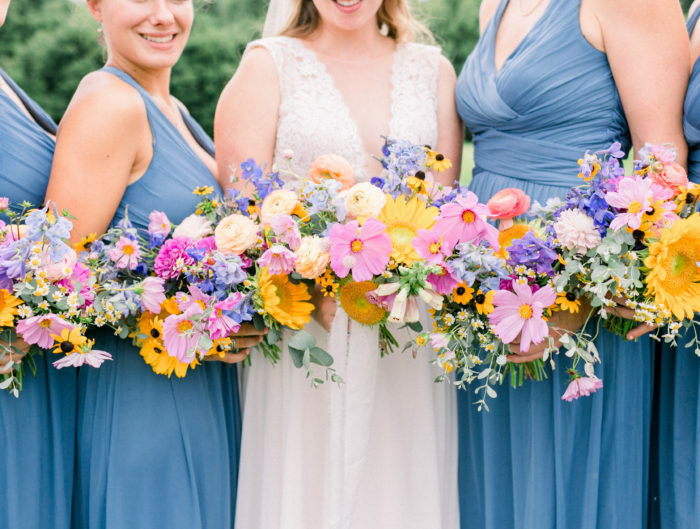 We adore how they alternated the texture on the tiers and added in a few flowers for pops of light color! Thank you to Engaging Affairs for sharing this glamorous Ritz Carlton wedding with us today! Congratulations to Meredith and Drew! 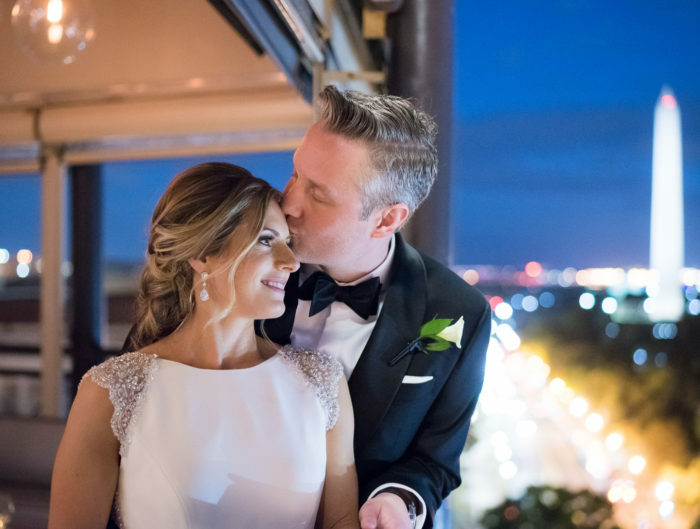 Thank you for sharing your joyous Ritz Carlton Virginia wedding with us!